Photo: National Museum, Tehran, Iran. Madeleine and I are addicted travelers. We have set foot in something like 90 countries. We are quite independent. Often we drive ourselves and sometimes we search around for the best guide/interpreter/driver for all or part of a trip. We have had excellent driver/guiders in India, Bhutan, Myanmar/Burma, Cambodia, and elsewhere. Hassan is the best we have ever had the pleasure of accompanying us. 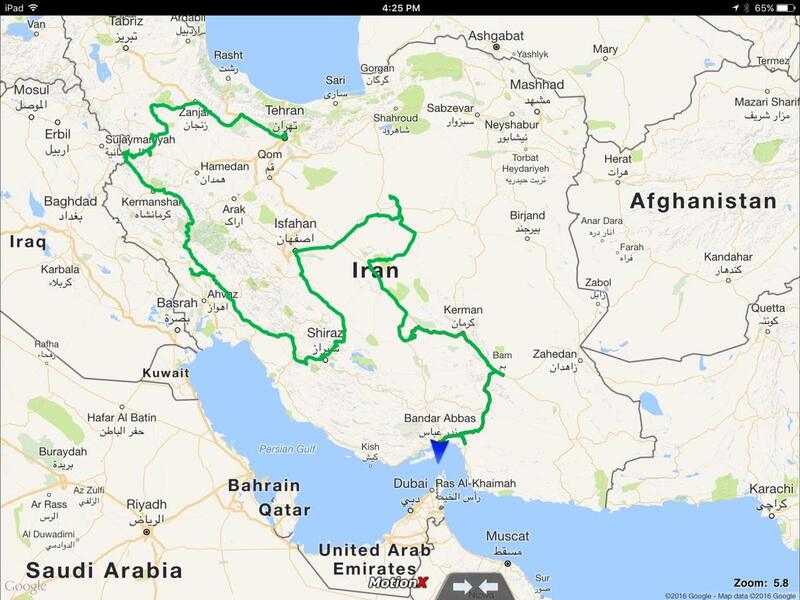 This was no short trip, 30 days all the way around Iran and every day he demonstrated why several other guides we met whispered to us that we have the best guide in Iran. I cannot imagine anyone better since Hassan was perfect in all aspects. So, I feel justified in saying Hassan is the best guide in Iran. He is an amazingly pleasant person to spend time with — and that is essential for a long trip. He is extremely knowledgable about all aspects of Iranian history and the sites one visits as old as 3-5000 years and as new as today, He knows exactly when and how much to tell and he answered tens of questions per day for us as we are quite curious. He drives extremely calmly and safely in the “interesting” Iranian traffic culture. He has friends in many places and is highly respected. This results in excellent “home stay” possibilities with extremely interesting local hosts and interesting local guides who pop up and help in unusual situations (like the massive Ashura festival in an out of the way place like Bam.) He has a wonderful sense of humor, appreciating our jokes, and at other times often mentioning with his infectious smile, “There is an Iranian joke about this.” Of course, his English is perfect and his skills as an interpreter allowed for quite sophisticated conversations. 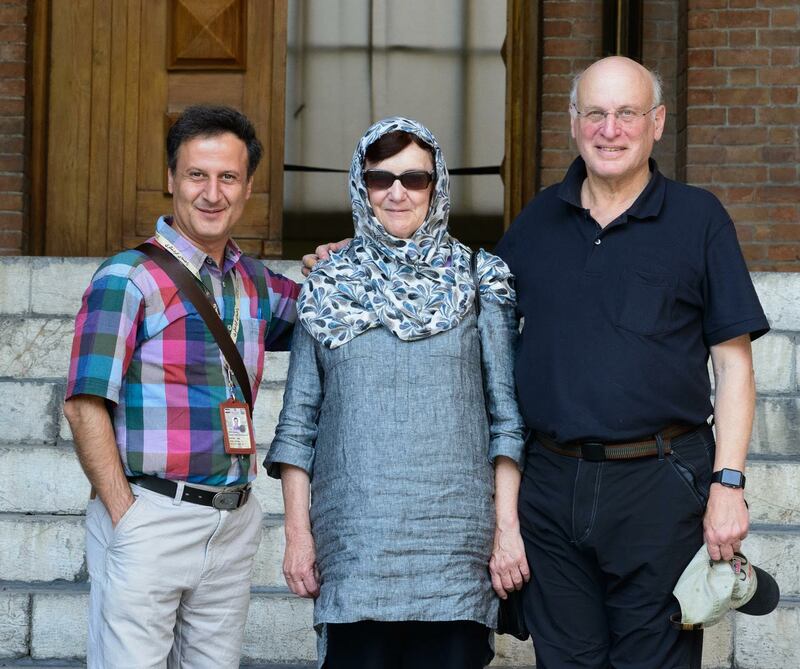 Iran was extremely welcoming to us. Iranians are friendly and seem to especially like Americans, which they do not see in great numbers. We always felt safe and comfortable. I exchanged emails with Hassan to work out our itinerary. With his knowledge and cooperative spirit we converged on a good plan quickly. He totally personalized our trip, making sure that we stayed in the broad mix of places we were looking for, from 5 star hotels to (comfortable) sleep-on-the floor homestays and classic travelers spots. He works with an excellent travel agent, Sara, who got everything right. The visa process was smooth. As Americans (or Canadians or Brits) your itinerary is cast in stone and you need a guide. So it was important to get the itinerary right. The lack of flexibility concerned independent travelers like we are, but because of Sara and Hassan, it all worked out excellently. One hopes the international banks will finally get on board with the end of sanctions and connect Iran’s excellent internal system to the rest of the world. Until then one has to put up with payment eccentricities, not the least of which is carrying lots of $100 bills.